iCare reports and the reporting tools are easy to use and gives you information you quickly need information with built in easy-to-read formats. You can easily filter, manipulate and customize your reports the way you want to see them. Administrators can print, export or email center reports to management, teachers, and parents. iCare's Reporting has over 60 out-of-the-box center reports for all areas of your early childcare development center. The built-in reporting tools let you customize, find, sort, print, email, or individual and batch actions. Actions menu for individual for batch actions such as batch check-in/out, batch enrollment, and batch edits. 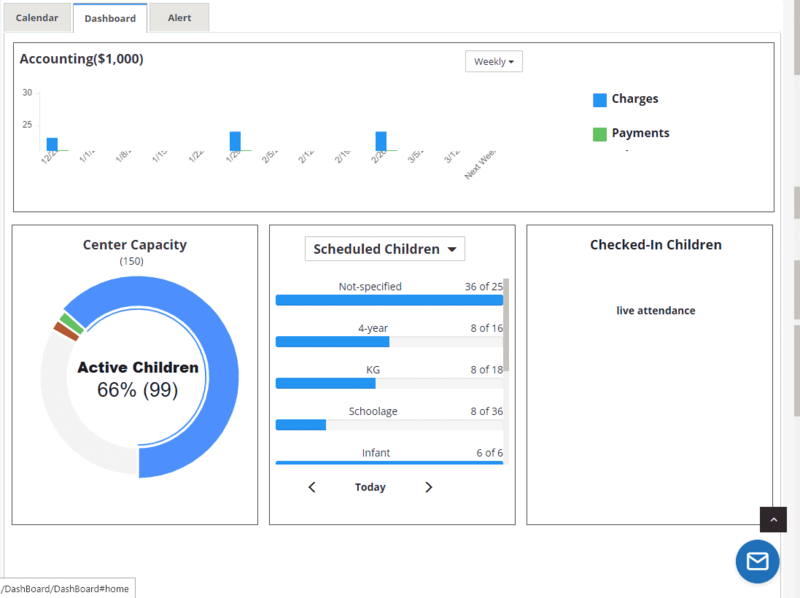 You can easily add a custom report in any of the report areas – like children, accounting, child enrollment, billing and class and program attendance, etc. Go to the Report Center and click on Add Custom Report and state in simple English what you need the report for and what information it should provide.